This is a elliptical LED illuminated ice bucket made by plastic injection. Usually used as the party beverage tub. The surface of the bucket is painting oil and the logo is made by Laser engraving. The brand tiitle can be seen as the same color like the picture as below and the logo is very striking. 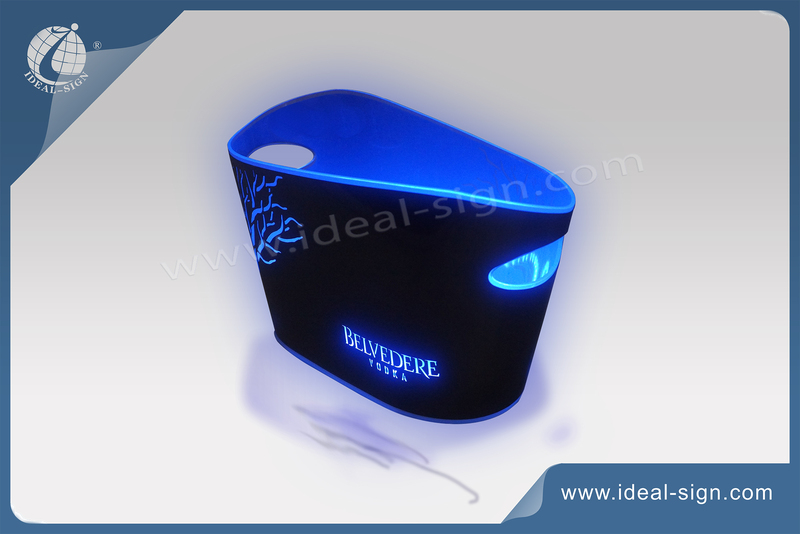 With 2 handles for easy handling and with the LEDs built at the bottom of the ice bucket., Different colors available according to customer’s request.